The line up of costumed employees at work. Click on the image for a larger view. 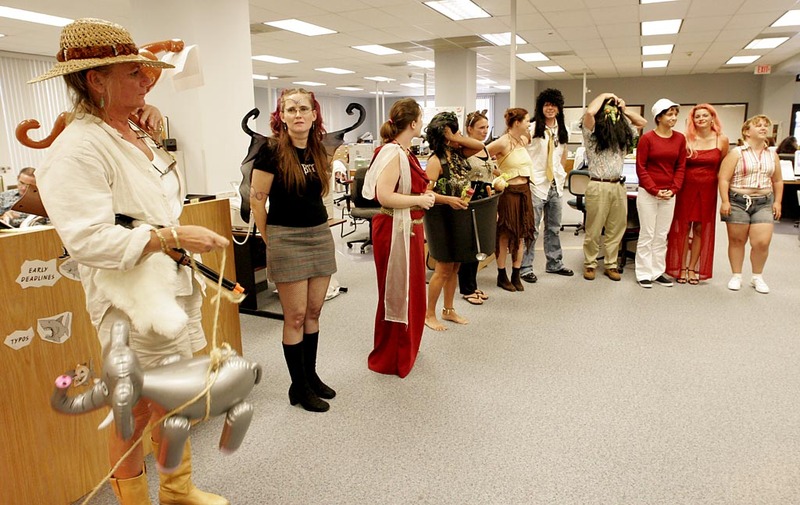 A video of co-workers dress up in their Halloween finest which included grand prize winner Andrea as a lunchwagon. The Skipper appeard to be AWOL for some reason. Click on the above image for the video. Psssst. If you want the video iPod version click here for a ZIP file of it. Right-click and save or Mac users Option-Click.